Perfect For Aluminum AN Hose Fittings. 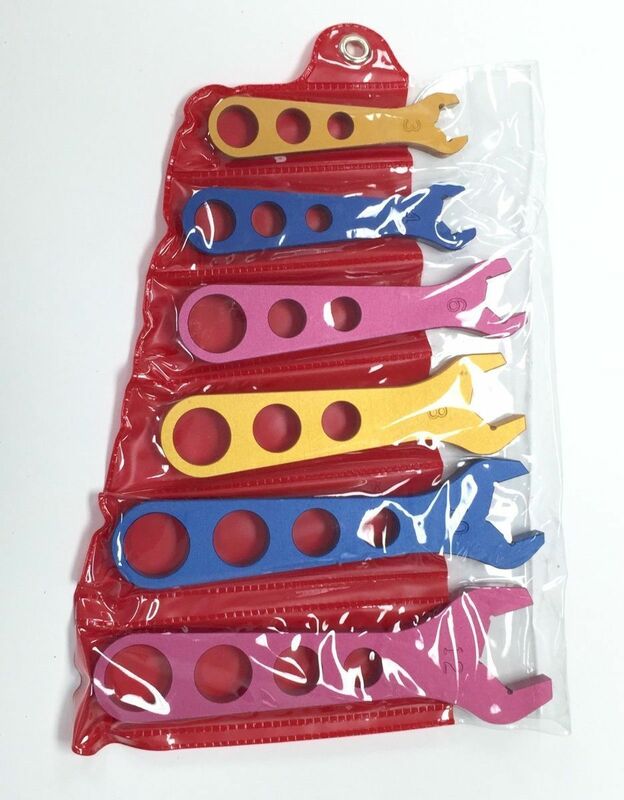 Includes size: 3, 4, 6 ,8 ,10, 12 By design these wrenches minimize marking, scratching, and scaring of aluminum hose fittings. 5/16" Thick and light weight. 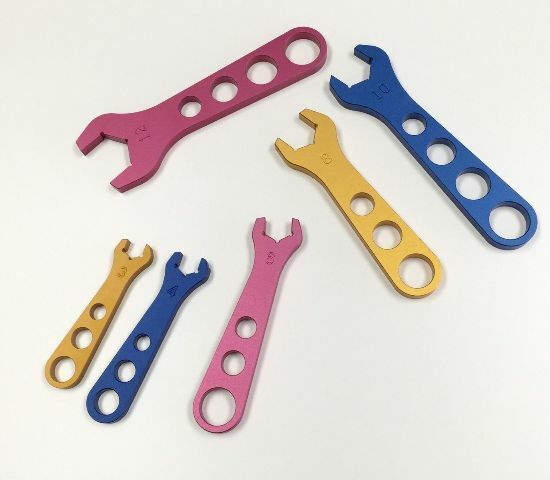 The specific length of each wrench prevents over-tightening. 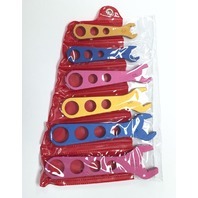 Each wrench is color coded and size marked for quick and easy identification. 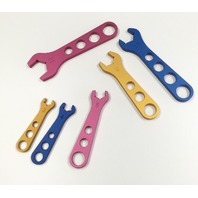 Perfect for your off road, jeep, rock crawler, muscle car, street rod, dune buggy, rat rod, hot rod or gasser project.